Google Drive（Windows 的備份和同步）是一個您可以創建，共享，協作和保留所有內容的地方。無論您是與朋友合作開展聯合研究項目，與未婚夫計劃婚禮還是與室友追踪預算，您都可以在雲端硬盤中完成。您可以上傳和訪問您的所有文件，包括視頻，照片，Google 文檔，PDF 等等。開始使用 15 GB 免費。通過安全雲存儲訪問任何地方的文件，並為您的照片，視頻，文件和其他文件備份 Google Drive. 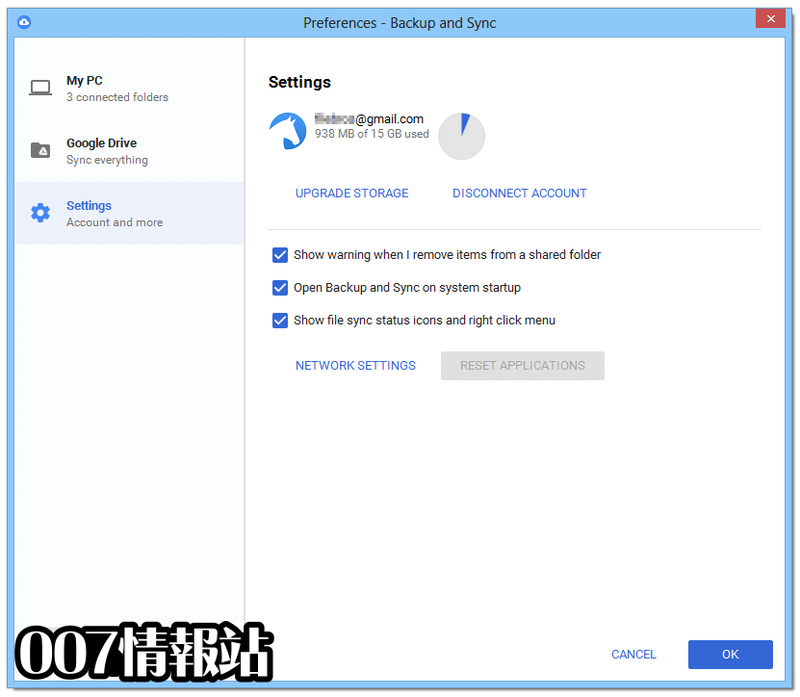 您可以從我們的網站點擊免費下載按鈕下載 Google Drive PC 離線安裝程序. 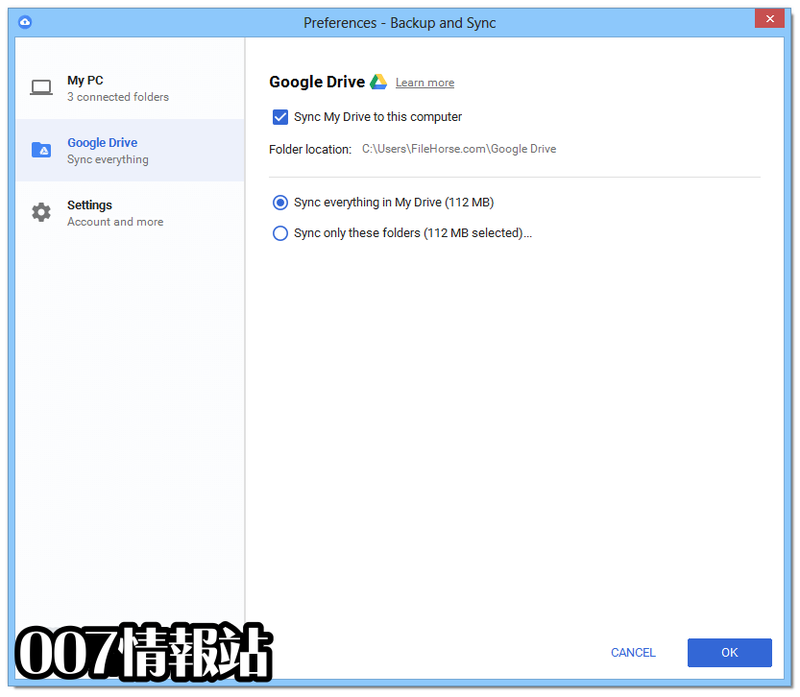 Drive 以 15 GB 的免費 Google 在線存儲啟動您，因此您可以保留照片，故事，設計，圖畫，錄音，視頻和 ndash; 任何地方. - As of this version, Backup and Sync won’t start on OS X 10.9 Mavericks. Older versions of Backup and Sync still run on 10.9 Mavericks, but are no longer supported. Users will be prompted to upgrade to 10.10 Yosemite or newer. - Fixed an issue where users couldn’t disable context menu items on macOS. - Fixed an issue where some USB devices weren’t detected by Backup and Sync. - Introduced a clearer error message for files that can’t be copied. - Additional bug fixes and performance improvements. - Backup and Sync will no longer ask to sync deletes of metadata files within Apple Photos libraries. - Fixed an issue where the Windows 10 April 2018 Update caused Backup and Sync to lose its configuration settings, forcing users to sign in and reconfigure Backup and Sync. - The case of a customer folder is now preserved when reading from user_setup.config. - Fixed an issue where HEIF and HEIC files (High Efficiency Image Format files) were not visible in Google Photos. Users who previously synced all file types, however, still won’t see their existing HEIF and HEIC files in Google Photos. - Fixed an issue where some users were not able to add additional folders to sync. - Users can now choose to sync subfolders of ~/Library on macOS and %UserProfile%AppData on Windows. An exception is that subfolders of ~/Library/Application Support/Google and %UserProfile%AppDataLocalGoogle can’t be selected. - Fixed an issue where some native applications did not appear in the list of available applications to open files with when browsing Drive on the web. - Fixed an issue on macOS High Sierra where users experienced a delay in seeing recently taken screenshots on their desktop. - Increased responsiveness when deleting photos that could not be converted to High Quality. - Fixed an issue causing sync status icons to not appear for some users on Windows. - Fixed an issue where Backup and Sync crashed with error 22E46FB1. - Backup and Sync now distributes as a 64-bit executable on Windows. If your operating system is 64-bit, Backup and Sync will upgrade to 64-bit seamlessly. Backup and Sync will continue to run as a 32-bit process on 32-bit systems. - When copying a link to your clipboard, Backup and Sync now displays a dialog with the current link sharing setting. - Fixed an issue on macOS where Backup and Sync crashed when a synced file had emojis in the file name. - Fixed issues where Backup and Sync crashed with error EF31B9F9 or B3FD5B23. - Preview password-protected Microsoft Office documents, presentations, and spreadsheets in Drive. Going forward, when you attempt to open one of these file types in Drive on the web, you’ll be prompted to enter the password and, upon doing so successfully, you’ll see a read-only preview of that document. - Integrated search experience in Gmail, Google Calendar, Groups, and Drive on the web for G Suite Basic and G Suite Business customers to make finding the content you care about easier. - This new search experience uses Google’s latest technologies to make searching for content more intelligent than ever. The search results you’ll see will change depending on what you’re trying to accomplish and also which services are enabled for your domain. Typically, search results in the top portion will be the same type as the application you’re using, and below, you’ll see related documents, contacts, calendar events, or emails that are most relevant to what you’re searching for. Please note: At this time, the integrated search experience will be rolled out only to G Suite Basic and G Suite Business customers (formerly called Google Apps for Work and Google Apps Unlimited). - Shared content now behaves like the content that you own: Signed-in recipients of Google Drive shared folders will now be able to access the contents in Drive (without having to add to My Drive) and will see the full functionality of Drive when receiving shared folders. This includes adding and modifying files, creating new folders, changing your notification subscriptions, and more. Just like how you’re used to in My Drive, you have the ability to modify the files directly from the landing page. - Shortcuts for Google Docs, Sheets and Slides — These will be added to the desktop and start menu for new users and to the start menu for existing users. These shortcuts will make it easy for users to use Docs, Sheets, and Slides to create and edit documents. - Improved setup — When setting up Drive, users can now use an arbitrary name for their sync directory. This prevents users from mistakenly creating a Google Drive folder within a Google Drive folder, and it offers more flexibility about where the Google Drive folder is installed on their systems. - Other bug fixes and enhancements. 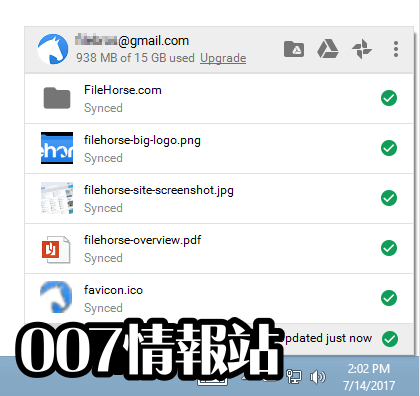 - Sync status overlay icon — New, more accurate and reliable sync status icons show you the status of each file you're syncing. - Stability improvements — Due to a number of improvements, you'll run into fewer cases of Google Drive crashing suddenly or stopping in the middle of uploading files. - More efficient use of CPU and speedier pre-upload time — Large sets of items dropped into your local Google Drive folder will upload faster and more efficiently. - Further memory optimizations — Previous versions of Google Drive consumed excess memory when moving or deleting files from the local Google Drive folder. This is no longer the case. - Right-click menu — Now, when you right-click an item in your Google Drive folder, you'll see a menu that allows you to share or view the file on drive.google.com. - Offline access to Google documents — Have Google Chrome installed? If so, you’ll be able to access your most recent Google documents on drive.google.com, even while offline. Simply open any Google document from your local Google Drive folder and Chrome will display the file for you to edit. Your changes will be synced when you reconnect to the Internet. - Faster download — Downloads now take about 50% less time. For accounts with many small files, the speed improvement is even more pronounced. - Smarter delete dialogs — In version 1.8, we added delete confirmation dialogs, which alerted users when items moved out of local Google Drive folders were moved to the trash. The dialogs were susceptible to false positives, though, because programs like Microsoft Word sometimes create and then delete temporary files. In this release, we’ve restricted these messages to folders you've created in Drive, as well as Google documents, spreadsheets, presentations, forms, and drawings. - 5x faster restart time — Upon restart, Google Drive scans for any changes you made while not connected. This process is now 5x faster. - Reduced CPU usage — There will be decreased CPU usage during uploads and downloads. - Facilitated the sync log process — When you run into a problem, it will now be easier to share your log information with Google support. - Reduced memory usage — Google Drive now uses roughly 50 percent less memory to perform the same tasks. - “Unable to connect” errors — There will always be legitimate circumstances when Drive cannot connect due to Internet connectivity, but we've reduced the number of circumstances in which this would arise. - Deleting folders will maintain their hierarchy — In some cases, deleting a folder would cause the subfolders to lose their structure. That will no longer be the case. - Google Forms and Apps Script File extensions — Google Forms and Apps Script files will be represented as .gform and .gscript files respectively. - Rename Google Drive folder more easily — Renaming the Google Drive folder now more reliably pops up a dialog to ask where you moved the folder. - Delete warning — We've added a warning that you’ll see when you move files out of the Google Drive folder on your desktop. The warning lets you know that moving files out of your Drive folder will cause them to be put in the trash online. - Inaccurate file sync status overlays — In prior releases, the client would display a green checkmark on files that had not yet successfully synced. This is no longer the case. - Additional diagnostics — In order to better diagnose performance related issues, additional diagnostics are now captured and send to Google if you have opted to send Google anonymous usage statistics. - Upload speed improvements — Users should now see faster upload speeds for many common file types, including .jpg and .png image files. - New welcome screen during setup — When starting Google Drive for the first time, a new welcome screen provides additional context before asking you to sign in. 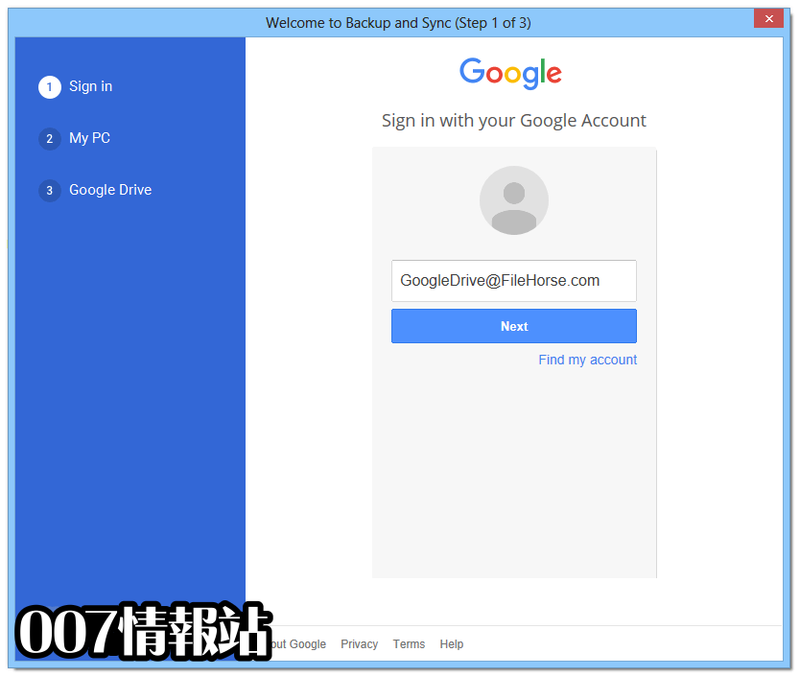 - Streamlined installation for users without Google accounts — If installing Google Drive without a Google account, you can now create a new account from within the installation flow and use that account to sign in to Google Drive, in one step. - Closing the Google Drive for Mac/PC application now completes more quickly. — Issue: The way the sync client closed XMPP connections caused delays when exiting. Resolution: Requests to exit Google Drive for Mac/PC should now complete more quickly. - Users no longer need to resync content after being disconnected. — Issue: Users disconnected from Drive for any reason (such as Drive being disabled within an organization) would be forced to log out and resync their content when reconnected. Resolution: When disconnected from Drive, the user’s sync client is now paused until the user can resolve the issue.